When I first saw the cover of this book, and read its description I just had to contact the author for a copy to review! Amish mystery in Shipshewana sounded like such a great story, and a new Amish Fiction writer to spotlight. Vannetta’s first novel A Simple Amish Christmas was a bestseller and this series is well on its way to joining it! Daisy’s Quilt Shop is a hub for not only the tourists in Shipshewana during market days, but for the Amish ladies who gather to quilt and fellowship with one another. 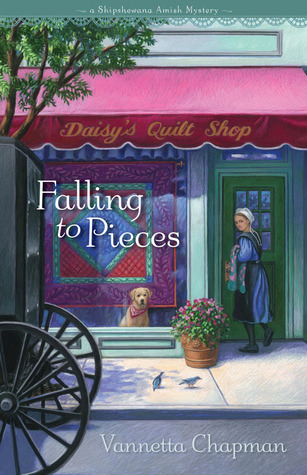 When Daisy is found deceased out in the garden she loved, Niece Callie inherits the shop. Having no desire or knowhow to run a shop, Callie hopes for a quick sale and to get back to her so called life in TX. She soon realizes that nothing is beckoning her back to TX and to sell her aunts shop may be easier if the shop reopens. Along with new found Amish friend Deborah, Callie reopens the store and makes some changes and upgrades by putting some of the Amish quilts on ebay for a higher selling price, much to the chagrin of the Amish Bishop. Local newspaper editor Mr. Stakehorn slanders Callie and her attempts to help sell the Amish quilts making for an uprising in the small community. Callie doesn’t take it standing down, insults Mr. Stakehorn and threatens to get back at him. Later that night Mr. Stakehorn is found dead…. Of course Callie is a prime suspect!! Along with her Amish friends, new newspaper editor Trent, and the officers of the local police force, Callie seeks to find out the mystery behind Mr. Stakehorn’s death and the recent burglaries. 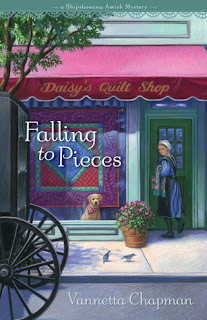 I loved the combination of the quilt shop, Amish and a good mystery. I have been to Shipshewana during market days when the town swells to 30,000 people and it was so fun to be brought back there to the small town setting and the friendships that developed between the English and Amish. Despite difference in living style, clothing, religion, Callie and her Amish friends came together with a mission in mind, and that helped to grow their relationship with each other, and within themselves. Deborah’s influence on Callie was a blessing to her working through some past issues that needed resolved. So excited that this was just the first in a 3 part series! Excited to join Callie back in Shipshewana for the next book A Perfect Square.